Since we have a banana on top of our Christmas tree, I wanted to incorporate an angel into our cookie bakin' - so that I might be able to break the news to the boys about the true identity of the "thing" on top of our tree. These little angel cookies were really fun for us to make today. I used cookie dough that we already had in the refrigerator to make this one a bit easier, but you could make/use any type of roll-out dough. The boys could do just about every part of these cookies - and did. Warning: If you do not want your angel to look like Marge Simpson's long lost sister, you might not want to use blue icing for her hair. I'm just sayin'. However, that's how we roll around here. Our angels are covered in randomly placed red hots, have red and blue hair - and well - are just incredibly confident gals. Marge's sister was the best looking one of the group - trust me on this. Our lesson: The angel said to them, "Do not be afraid. I bring you good news of great joy that will be for all the people. Today in the town of David a Savior has been born to you; he is Christ the Lord." Preheat oven to 350 degrees. For each cookie, place 2 pretzels with flat sides touching on ungreased large cookie sheets, 3 inches apart. Roll out dough to 1/4 inch thickness. 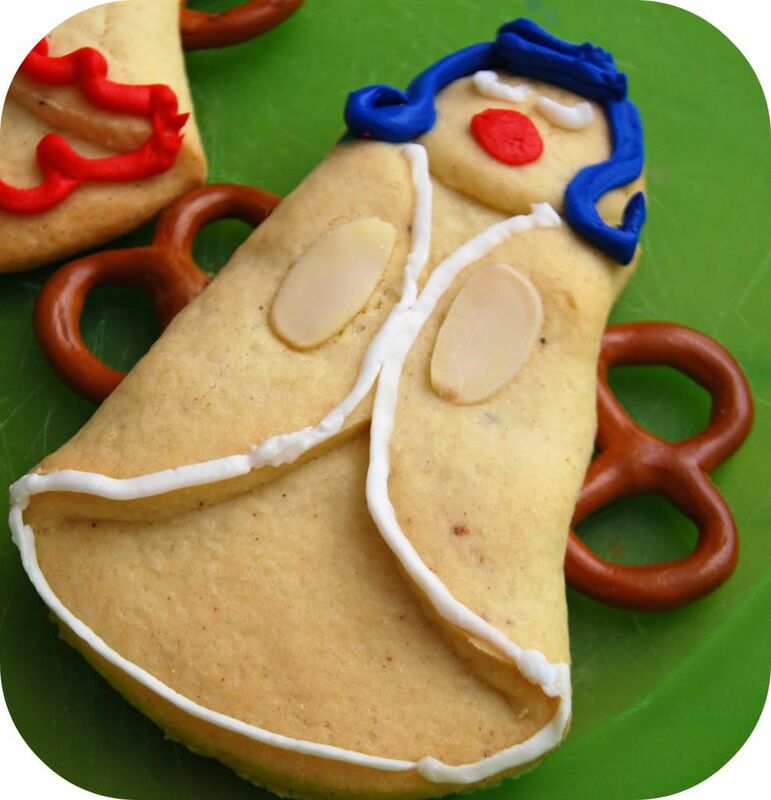 Cut with circle cookie cutter (or inverted glass) to make rounds of dough. To make angel body, fold circle in opposite sides at top to make triangular-shaped body; place each slice on top of 2 pretzels, so double rounds of pretzels form angel wings at each side. Using leftover pieces of dough, roll 1/2 teaspoon into a ball; flatten into circle and place on top for head of each angel. Press 2 sliced almonds into dough to make song book. Repeat to make 20 cookies. Bake 11 to 14 minutes or until edges are firm and just begin to brown. Cool 2 to 3 minutes. Remove from cookie sheet to cooling rack. Cool completely, about 15 minutes. Pipe icing on cooled cookies to make eyes, hair, and mouth and decorate with additional icing, red hots, sprinkles, etc. Allow cookies to set for 15 minutes before handling. I was just looking at this with my girl hanging over my shoulder. "Mommy can we make those some day? They look so cute and yummy but we can't do it today we don't have blue frosting for the hair." Just found you a star topper - from etsy no less. 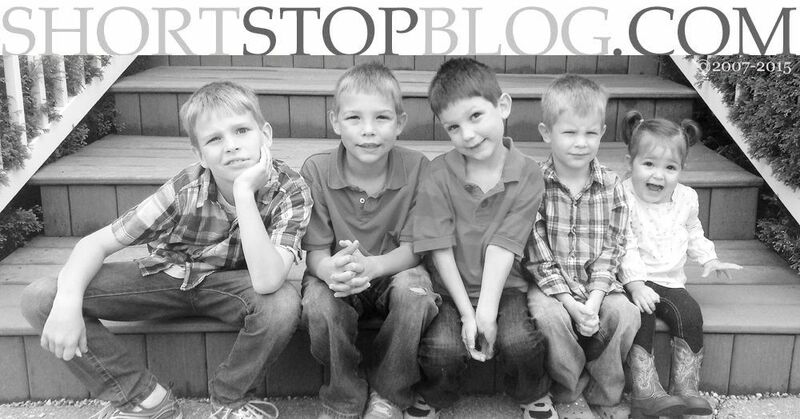 This is a blog I read and the topper spoke to me - it said, "Show Sarah!" LOL! !